Converting a mixed expression to a rational expression? You need to have common denominators in order to create on rational expression. Watch this tutorial and learn what it takes to convert a mixed expression to a rational one! 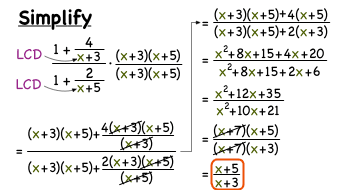 Mixed expressions are mix of monomials and algebraic fractions. To learn more about mixed expressions, and to see and example, check out this video!